How would you like to get your hands on a skin cleanser that was originally formulated in 1947? This beauty product from Cetaphil is an effective cleanser for sensitive skin even if yours is prone to acne breakouts. In this Cetaphil gentle cleanser review, we explore the performance metrics of this industry tested beauty product and why it might be the appropriate brand for both men and women looking for an effective cleanser that will not create too much skin dryness or cause irritation. Among all the gentle skin cleansers one can buy online, this product from Cetaphil is probably the most expensive, but yet, skin care experts all over the world are known to recommend this brand more than any other. Towards the end of this post, I will give you the ideal online shopping portal to get this gentle cleanser from Cetaphil that can clear out blemishes from the surface of your skin. Cetaphil can trace its founding roots back to 1947, and from web publications, the first product from this outfit was created by a pharmacist, which as you guessed right helped people with skin problems. Within the industry, this company has won many awards for excellent products. At present, Cetaphil products belong to Galderma Laboratories (Galderma S.A.) a company known for their expertise in formulating and marketing high-end dermatological treatments. Galderma S.A. is fully owned by Nestle through a deal that was consummated in 2014. The Cetaphil line of beauty products including cream lotions, bar soaps, moisturizers, and acne treatment solutions, and most can be found in over 82 countries. The company still uses the original formula to make this gentle skin cleanser, which was developed in 1947. 1 – Based on all the information we collected for this post and the feedbacks from existing users including myself, the formulation for this cleanser can be called mild, and non-irritating. I never used it on any of my kids as I considered the product my go to luxury cleanser, but some of the existing users said it could be used on a baby’s delicate skin. It is widely marketed as a facial cleanser that will clear out impurities for from all types of skin. 2 – The Cetaphil skin cleanser is easy to apply, and will rinse off easily. It is uniquely formulated not to strip away the natural oils of the skin. 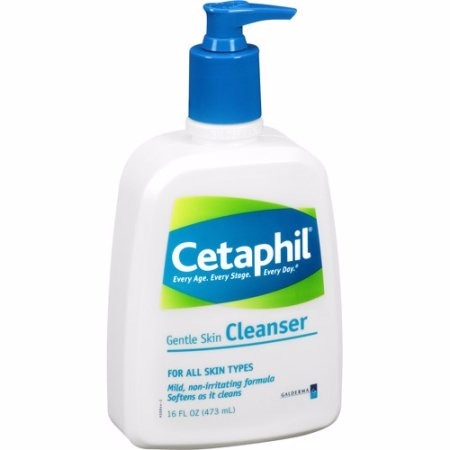 3 – If you have skin problems like eczema, rosacea, psoriasis, acne, and dry skin condition, this gentle cleanser from Cetaphil will do an awesome job at doing away with some of your symptoms. 4 – It is formulated to soothe and soften the skin, due to the fact that it is free of fragrance and will not clog the pores of your skin. Not only is this product good for the entire body, you can also use it daily if you want your skin to effectively retain essential moisture. This product is also non-comedogenic and non-alkaline, which is just right for those with unusual skin sensitivity. 5 – This gentle cleanser will not make too much lather because it is a soap-free formula, but it will effectively remove oil, dirt, and makeup from all types of skin. 6 – It is hypoallergenic, and the manufacturer states, this product will get rid of skin impurities with or without water. The most active ingredients in this gentle cleanser for skin from Cetaphil are Water, Sodium Lauryl Sulfate, Cetyl Alcohol, Butylparaben, Stearyl Alcohol, Propylparaben, Propylene Glycol, and Methylparaben. As you can tell this is not a green friendly formulation, but it is an outstanding facial cleanser for oily skin, dry skin, or combination skin based on my own personal experience. Based on the Cetaphil cleanser ingredients list those seeking a product with more earth friendly formulation should consider other alternatives, like the Christina Moss Naturals Facial Wash.
Just like any skin cleansing product found on Amazon, there are hundreds of feedbacks from existing users, most of them positive, but some not so friendly. The biggest advantage using this product is that it will clear out impurities from your skin without causing any redness or irritation. I have tried several so-called green-friendly skin cleansers and found them lacking in the performance department. The most valuable feedback is from a mom that gave all the credit to the product for clearing out her husband’s eczema symptoms. Another user said the formulation for the Cetaphil cleanser is just right, and it did not over dry her skin after each use. There are hundreds of feedbacks with glowing things to say about the product and you can read more of them – Here! If you like your beauty cleanser to be green friendly, this is not the product to purchase today, because the biggest complaints from some of the current users are the list of ingredients. Another gripe that is frequently mentioned is the pricing, which is on the high side in my opinion. Is it the Finest Face Cleanser for Sensitive Skin or Acne Prone Skin? The formulation of this cleanser will not irritate the skin, neither will it strip off its natural oils. I like the fact that it is a soap-free formula, which means you can use it effectively without any water. Will I call it the number one gentle skin cleanser sold online? Probably not, because there are dozens of brands with similar performance metrics, but it should be included in the top ten list of the most effective gentle skin cleansers. 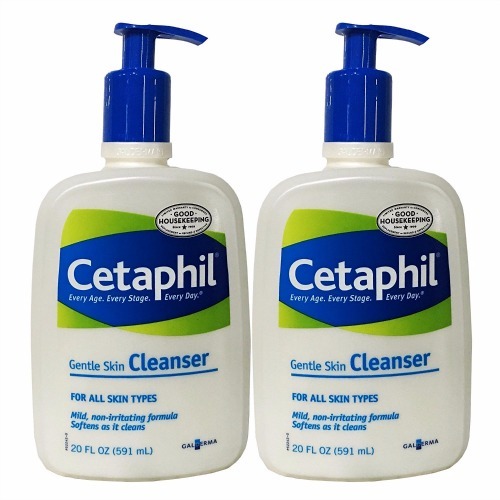 The Cetaphil gentle skin cleanser price can vary based on your shopping website, but for the most amazing shopping experience along with competing prices from different sellers, the only recommended site is Amazon.com. If you have Prime Membership you can have this gentle skin cleanser from Cetaphil at your doorstep within three days or less.